Become an Intigral Certified Fabricator and join the rush! ScreenLine and Innovia blinds were recently featured on Designing Spaces. Click the blue circle to view the segment! No other single supplier offers the range of products that Intigral does, and we do this with a partnership mentality, fully integrating with customers to provide the best solutions. Choose between Venetian or Pleated with 27 colors and six control systems to create the ideal blinds between the glass. 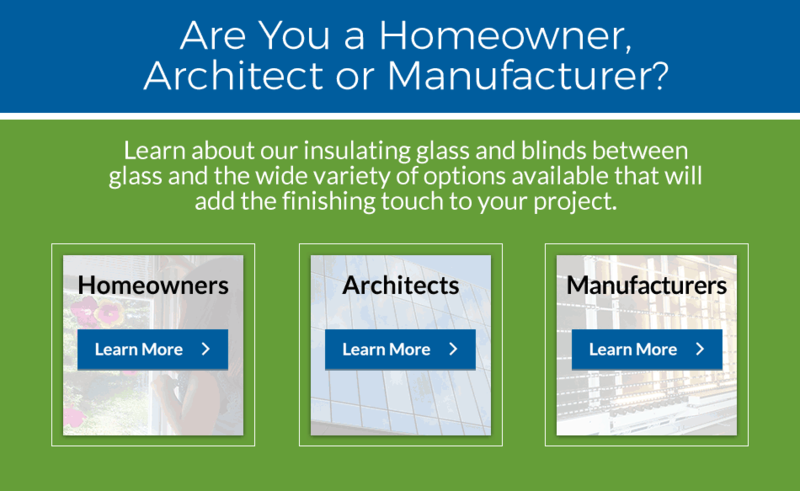 INTIGRAL is the fenestration industry’s fully integrated insulating glass resource, supplying insulating glass units (IGU) and monolithic glass products to window and door manufacturers from the Midwest States to the Mid-Atlantic. INTIGRAL is proud to offer top-of-the-line blinds between the glass, in our trusted in-house Innovia brand, as well as world renowned ScreenLine.